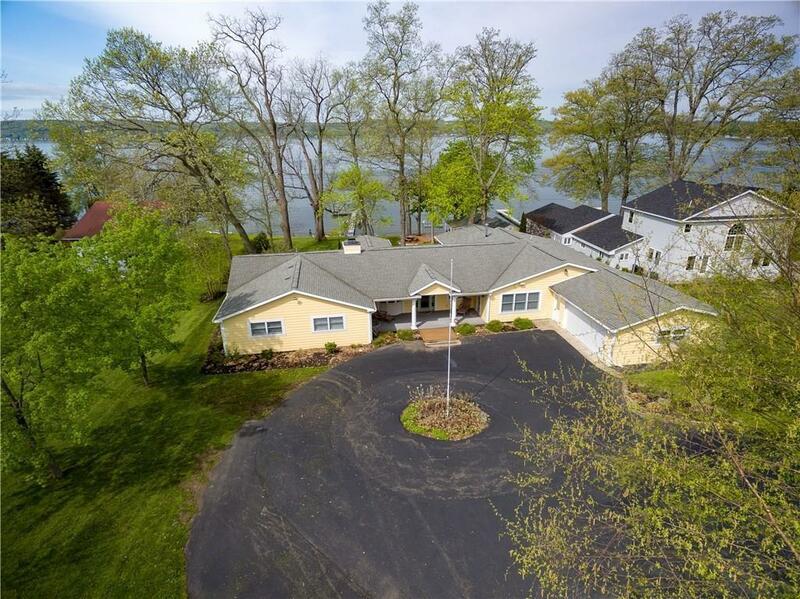 LAKE FRONT BEMUS POINT ! This beautiful home will offer years of enjoyment ! Quality and workmanship throughout . Gourmet Kitchen with High end appliances including two dishwashers, granite counter tops and a 12' Island. Two living areas and 2 fire places ideal for family and friends . Master en suite with office/ siting area overlooks Gorgeous views of the lake and sliders that lead to a new and expansive deck with Hot tub . Screen in porch great for outdoor meals which overlook sweeping views of the lake. Attached 2 car garage, two out buildings will fit all of your winter and summer toys. 2 adorable Summer guest cottages with a retro feel includes a mature Walnut tree with swing says this is lake living at it best ! 24HOUR NOTICE TO SHOW.